Our ninth edition of TheStadiumBusiness Summit is shaping up to be a record-breaking smasher, with leading names from around the world confirming their place. We’ve been busy preparing a world-class speaker line up to mark the occasion, and are delighted to preview our opening keynote speaker. Home to a host of global old and new economy businesses – from Boeing through to Microsoft and Amazon, Seattle is one of the fastest growing cities in North America. Century Link Field (pictured), home to the NFL’s Seahawks, MLS’ Sounders as well as convention, events and theatre spaces, welcomes over 2.4m visitors to its 130+ stadium bowl events each year. From Amazon’s staff picnic (for 40,000 employees) through to the Sounders record-breaking attendance figures (average 42,000 per game), how does the stadium management team balance its workload and continue to improve customer service? Among key changes, 2017 saw the Seahawks take catering in-house after a series of outsource suppliers. Reviewing the changes we welcome David Young, Senior Vice President, Operations & General Manager, Seattle Seahawks / Century Link Field, USA to the 2018 speaker line up. 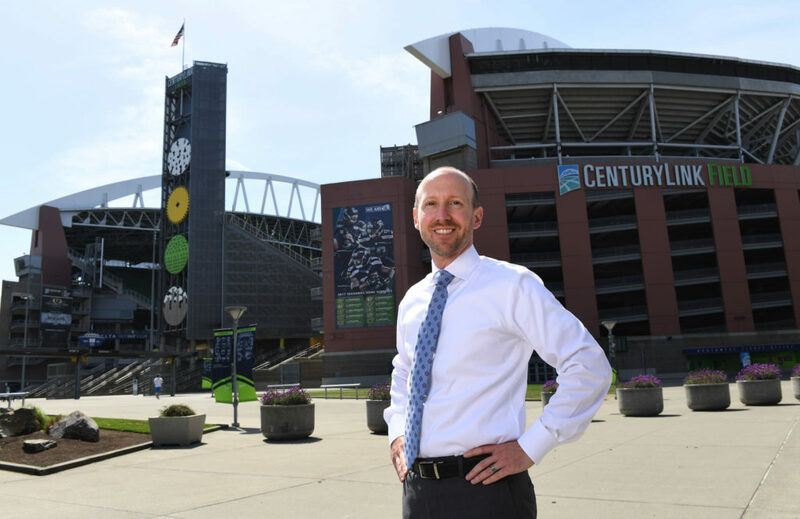 David oversees and directs all aspects of the business and operation of CenturyLink Field, CenturyLink Field Event Center and the Washington Music Theater. Together these venues host 185 events and over 2.4 million guests annually. In 2017 David led the creation and launch of First and Goal Hospitality. By taking food and beverage in-house, the Seahawks are better able to provide an outstanding guest experience at CenturyLink Field and Event Center. Previous to the Seahawks, David was the Vice President of Stadium Operations with the Kansas City Chiefs. David began his career at the Walt Disney World Resort in Florida as an Operations Manager at the Magic Kingdom Park. We’ve been working hard behind the scenes to finalise the ninth edition of TheStadiumBusiness Summit with many more speakers still to be confirmed… We are delighted to release our first Programme Preview for download.